This evening I want to spend a few minutes sharing my thoughts on the essential role that this oral history program has played in this history of this university. See, the University of California was founded on March 23, 1868, just a little over 150 years ago. And while what we now know and love as the Oral History Center wasn’t established for another 90 years, in some very important ways, this program has been with the university since the beginning: it has been with the university through the first and second-hand experiences of those who built the university into what it is today, transmitted over the past 64 years through recordings now archived in the Bancroft Library. 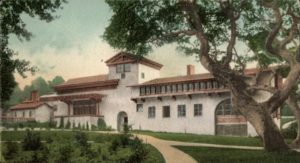 Although the International House movement began in New York City, Berkeley established the second house in the country and our I-House remains a lively center of intercultural exchange today. In a 1969 oral history, Harry Edmonds offers his recollections: “One frosty morning in September, 1909, I was going up the steps of the Columbia Library … when I met a Chinese student coming down. I said, ‘Good morning. ‘ As I passed on, I noticed out of the corner of my eye that he had stopped. So I stopped and went back to him. He said, ‘Thank you for speaking to me. I’ve been in New York three weeks, and you are the first person who has spoken to me’ … I went on about my errand but had no sooner gotten around back of the library that I realized something extraordinary had happened. Here was a fellow, this student, who had come from the other side of the world, … he had been here for three weeks, and no one had spoken to him. What a tragedy. I retraced my steps to find him to see if I could be of some help, but he had vanished in the crowd. That evening when I went home, I told my wife of my experience. She asked if I couldn’t ‘do something about it.’” Before too long, Edmonds played an instrumental role in founding the International House movement. I could go on quoting from interviews describing the rise of the Free Speech Movement and Ethnic Studies on campus, examinations of the Loyalty Oath and the creation of the several new campuses of the UC System, and, yes, there is a very good account of the founding of the Oral History Center, but I’ll stop here. These quotes were drawn from much longer oral histories which are just an exceedingly small sample of the 4000 interviews in our collection that document not only the history of this university but also the region, the state, and frankly, the world. So what is to be gained from these interviews? Are they just colorful anecdotes or do they offer something greater? If you get the chance to listen to the interviews, the cadence of the speech found in the oral histories is strikingly different today, as often is the vocabulary. We are in the process of digitizing these interviews, so in the years to come you’ll be able to listen to their words, how they spoke those words, and begin to explore how we might gain new understandings through voice and affect. These interviews also provide information not readily available in the public record, as hinted at in Birge’s recollection of John LeConte’s career challenges. Moreover, they offer detailed accounts of everyday life — the kinds of things that provide texture to our understanding of the past but might be ephemeral and thus exist only in our memories, otherwise disappearing when we do too and not documented in writing. They reveal the moments of inspiration behind the ideas, institutions, and innovations of the university; they reveal origins often shrouded in the mystery of epiphany and immediate experience. These interviews give experts the opportunity to share their ideas, discoveries, and challenges in everyday language, thus giving non-experts the opportunity to learn about complex and fascinating things outside of jargon-filled publications, for example. And, finally, they tell us just how Sather Gate came to be! In 2018, 150 years since the University of California was established, I encourage you to dig into our collections and read the first person accounts of how and why Berkeley became one of the greatest universities in the world.